This highly anticipated book will give you the insight you need to successfully manage and customize your Magento Commerce installation. php|architect’s Guide to Programming with Magento takes you from installation to deployment of this popular e-commerce open source software. Magentos flexibility and Zend Framework-based structure have made it an increasingly popular e-commerce solution. 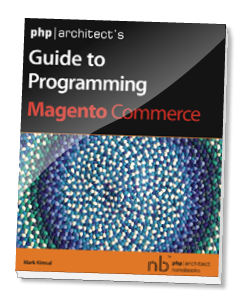 php|architect’s Guide to Programming with Magento is a must for anyone dealing with or curious about the Magento software.